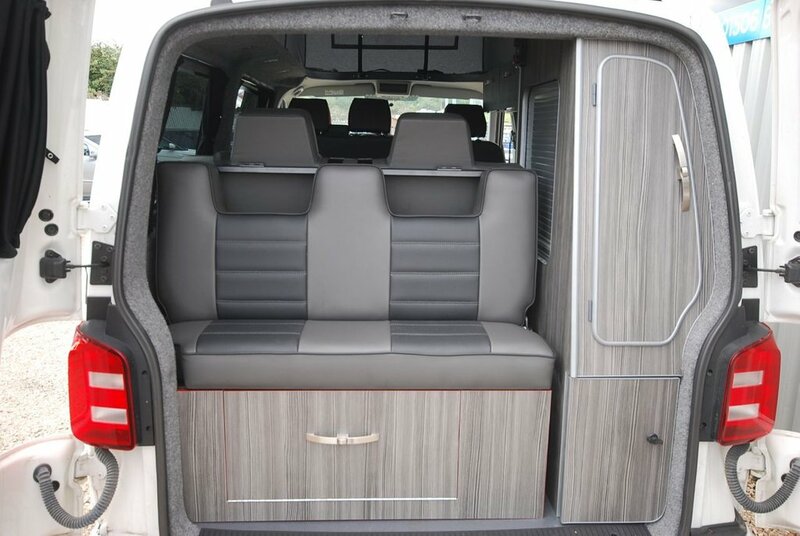 DEPOSIT TAKEN Deposit taken on this van. 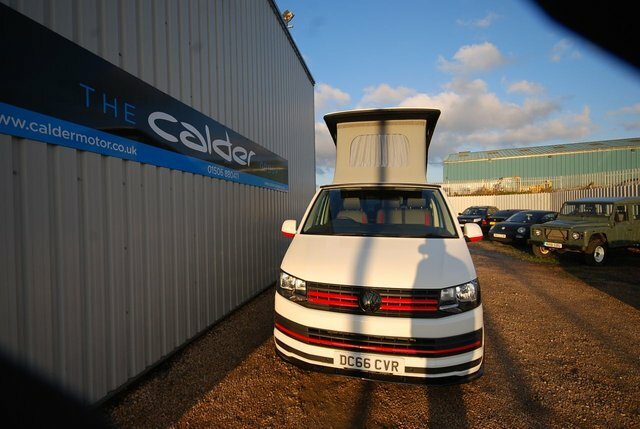 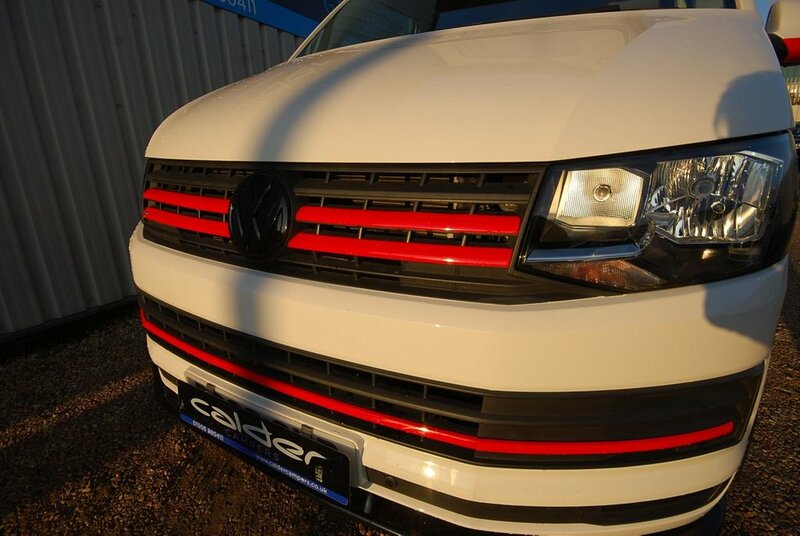 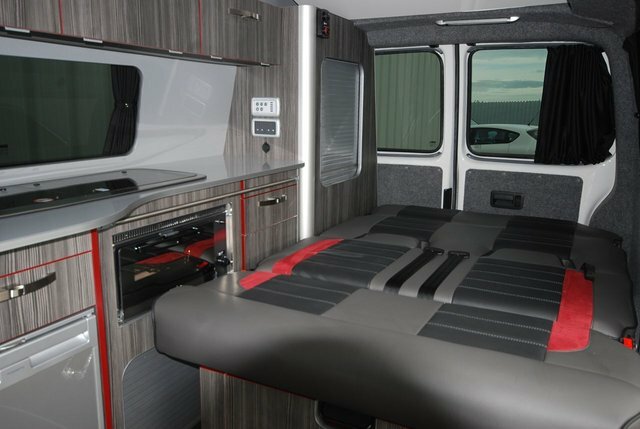 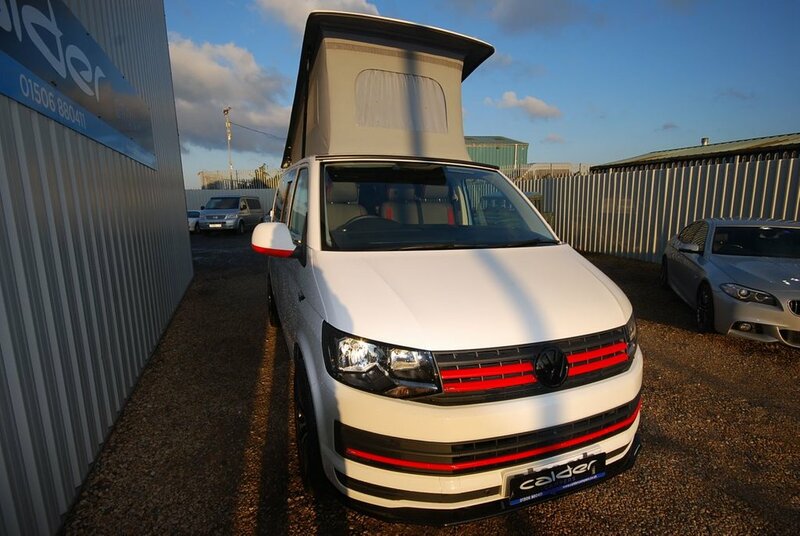 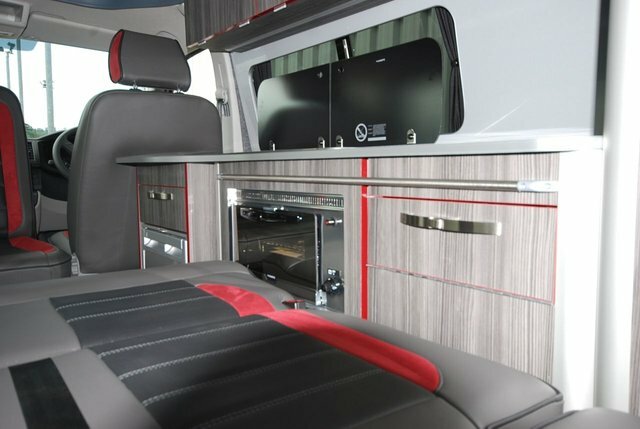 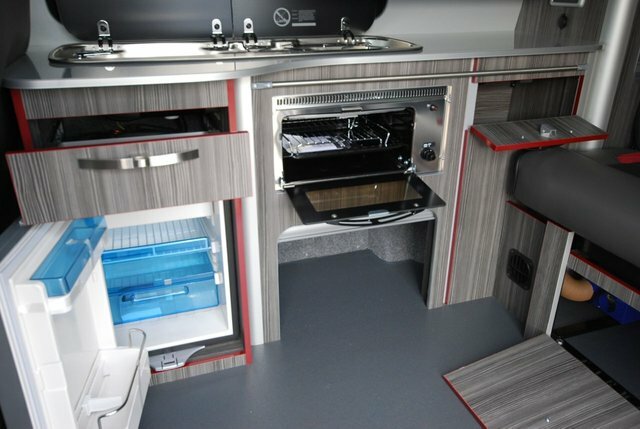 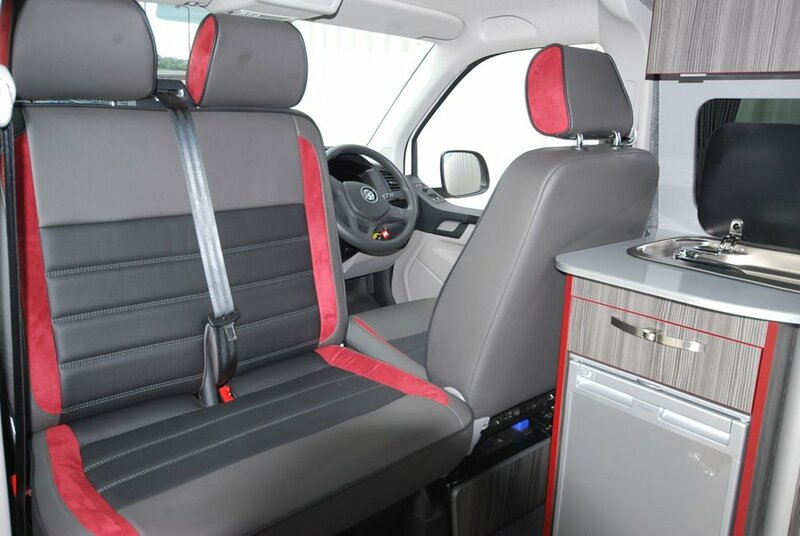 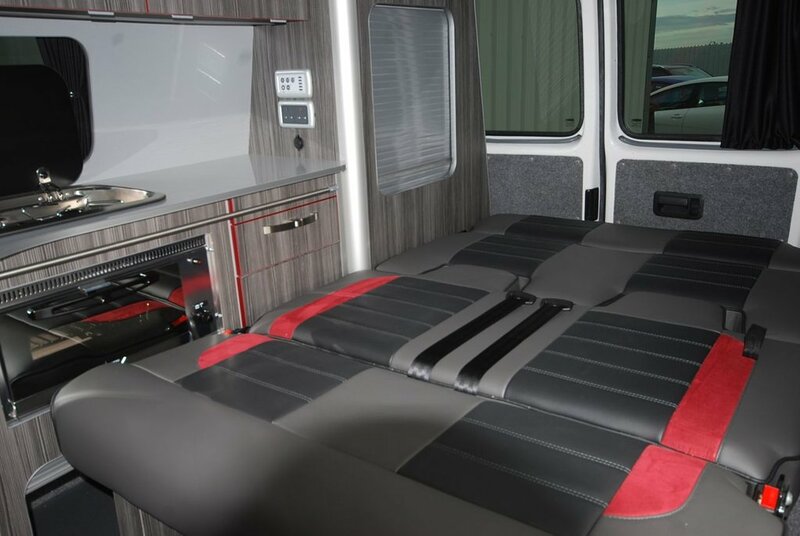 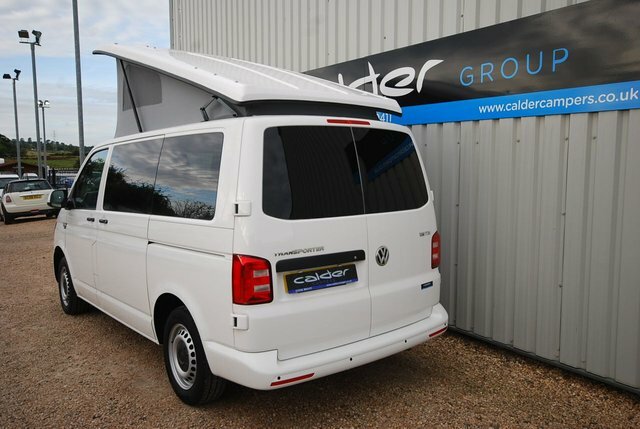 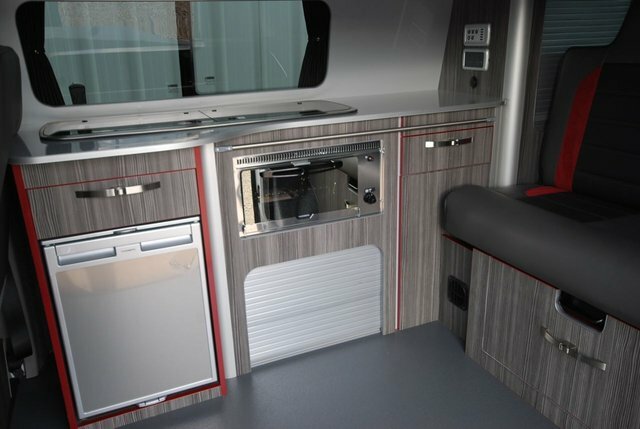 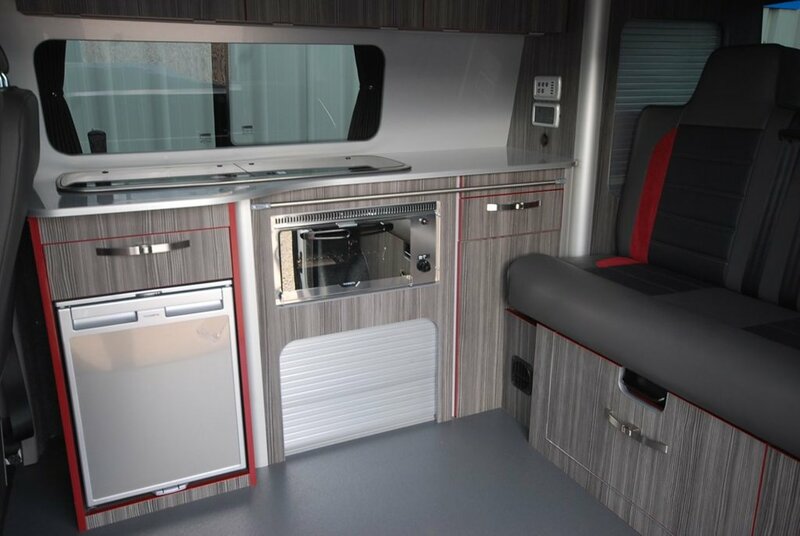 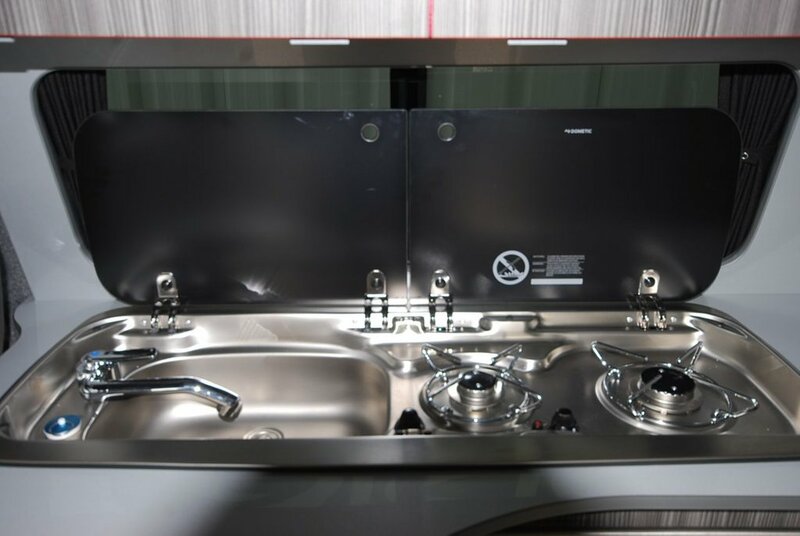 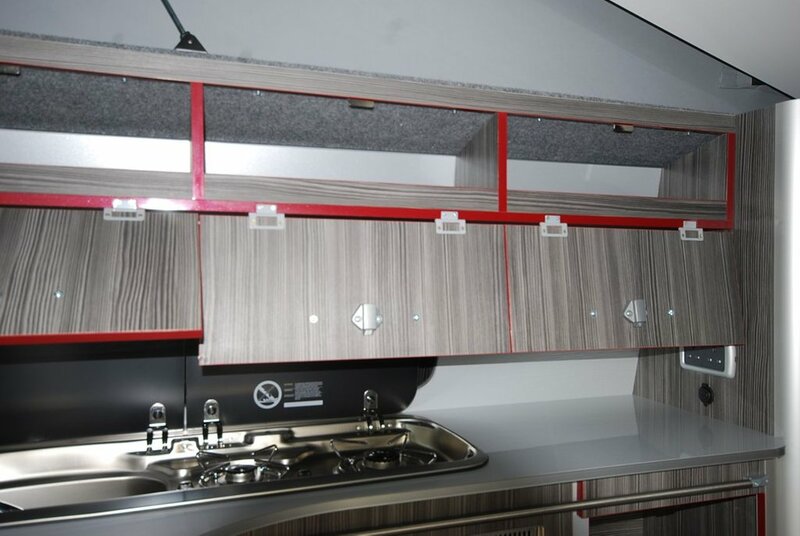 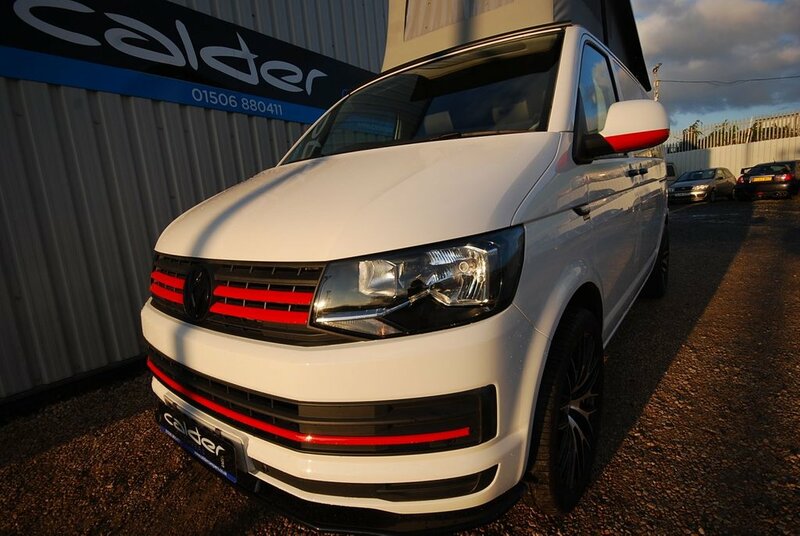 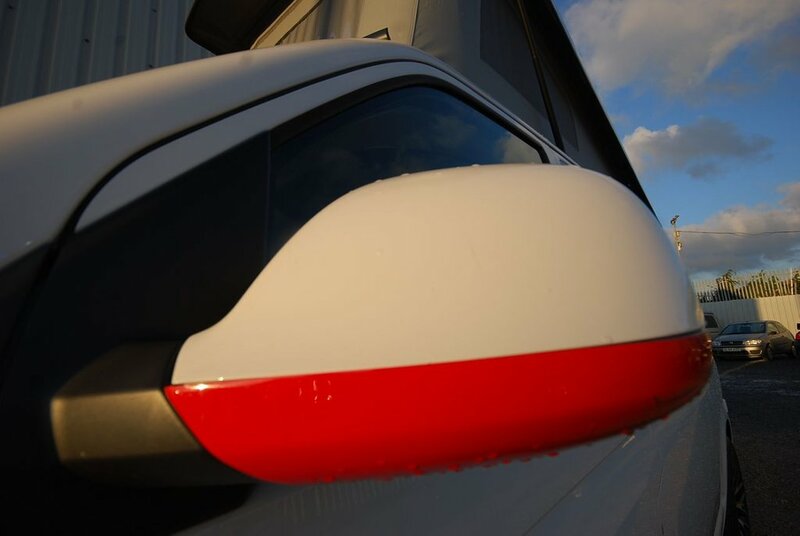 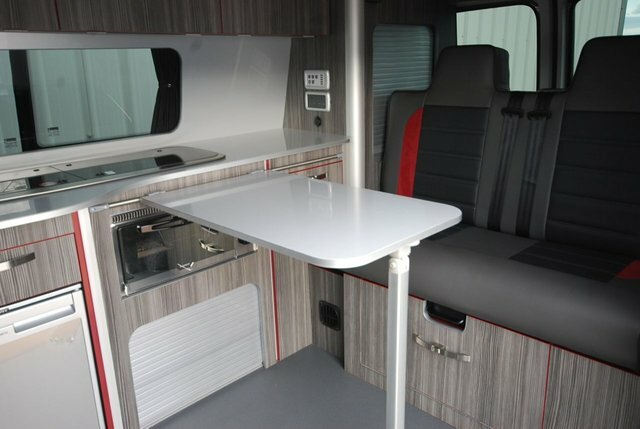 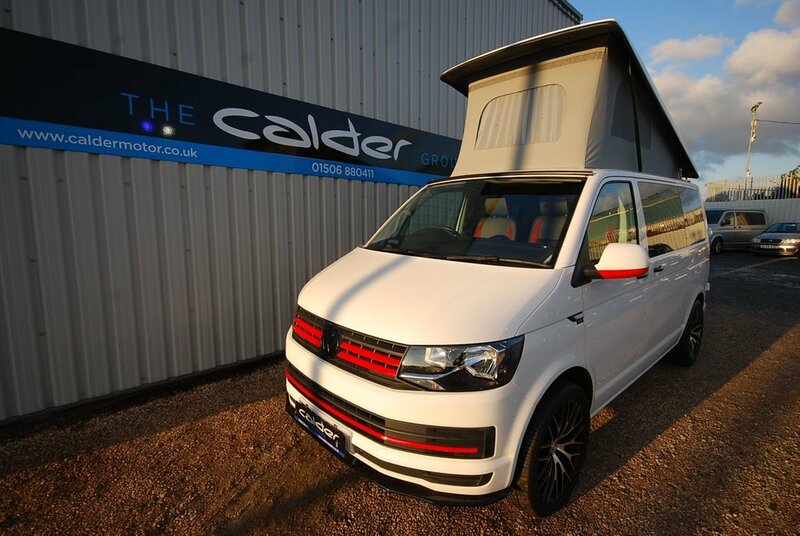 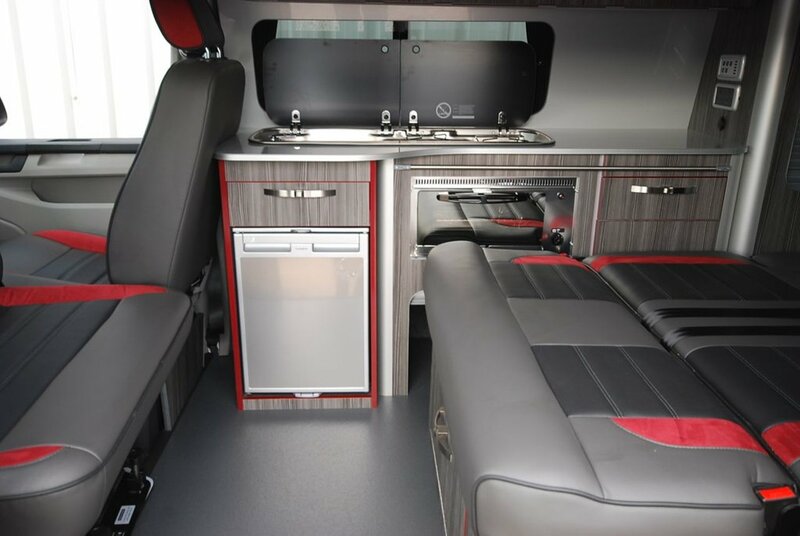 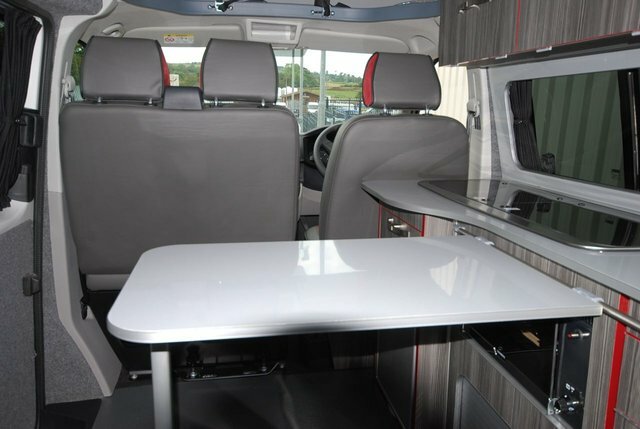 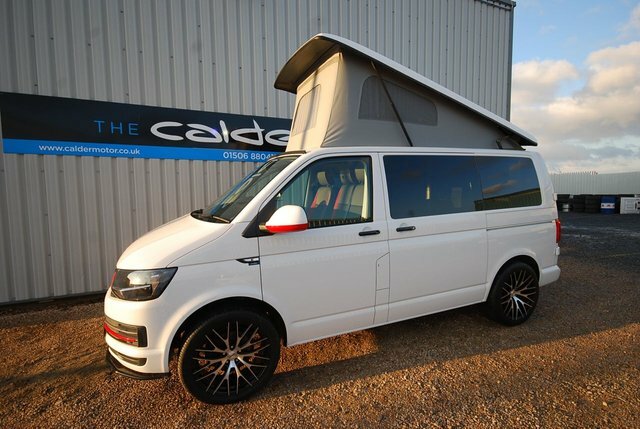 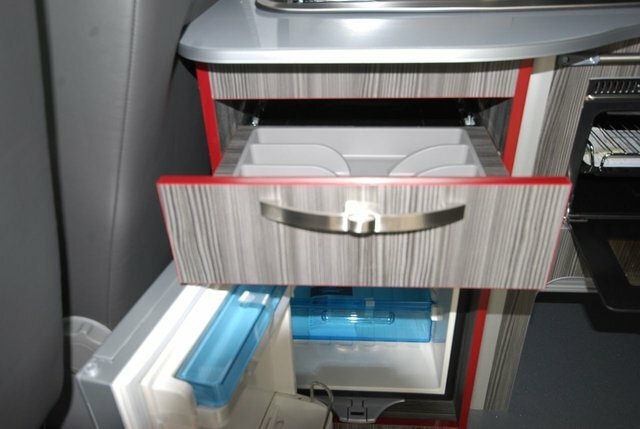 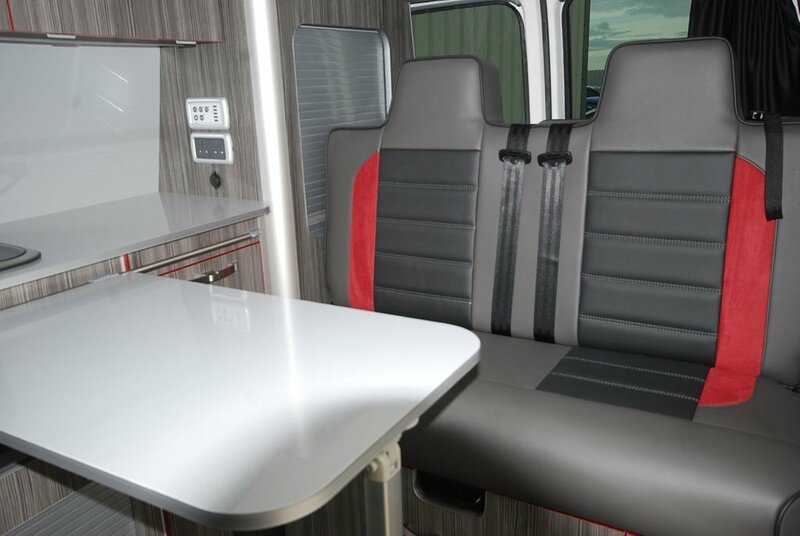 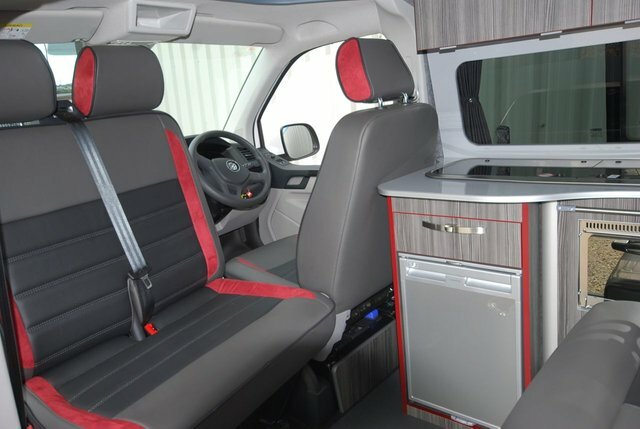 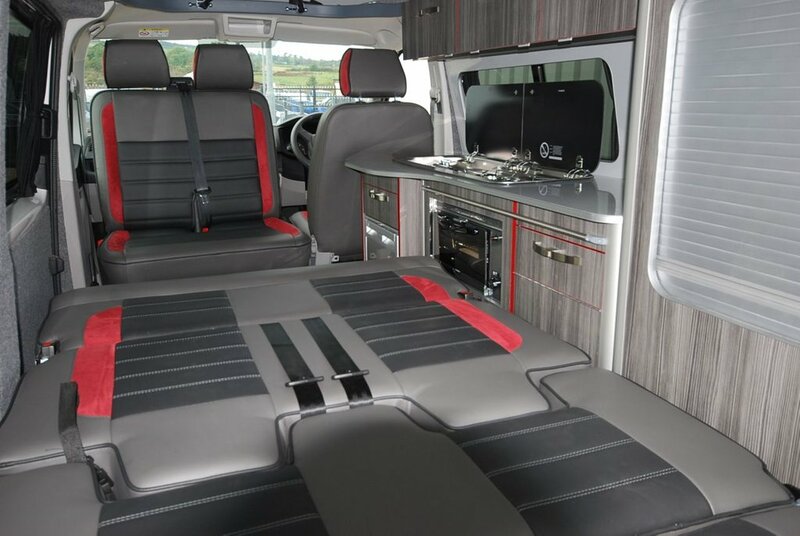 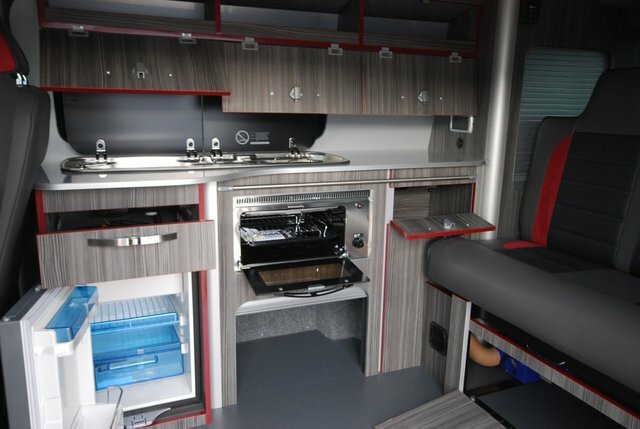 This stunning Volkswagen T6 Camper comes finished in candy white with red accents on the grill and mirror caps. 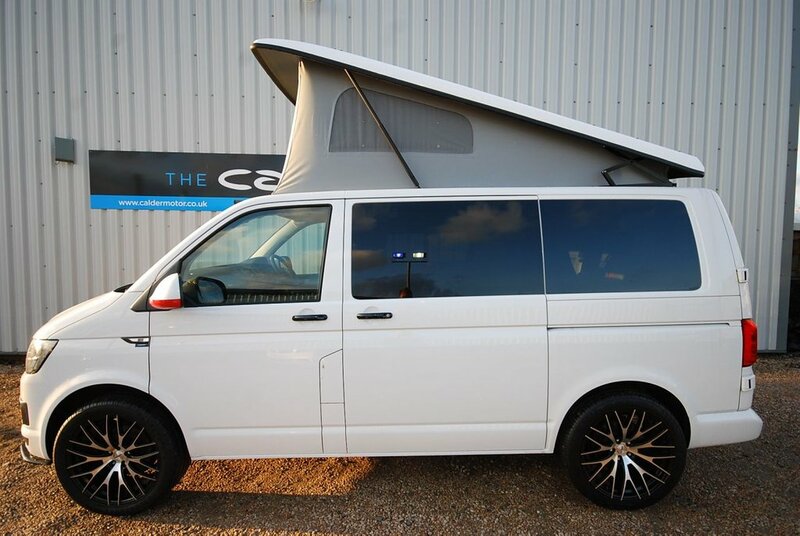 This stunning van carries 5 and sleeps 4 and is ready now for your spring holidays! 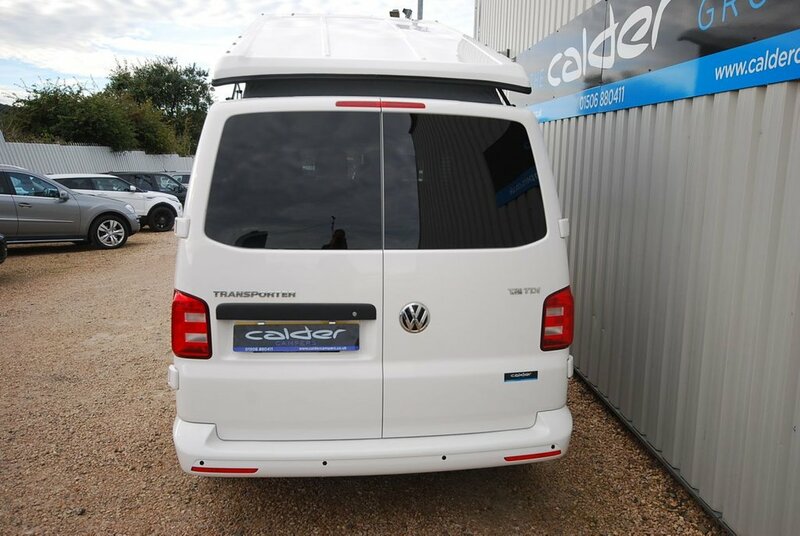 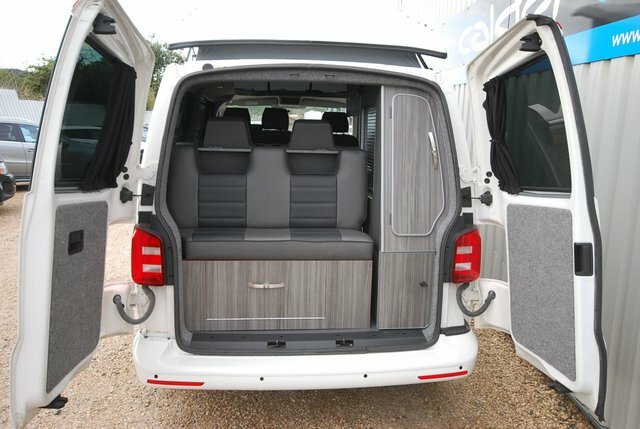 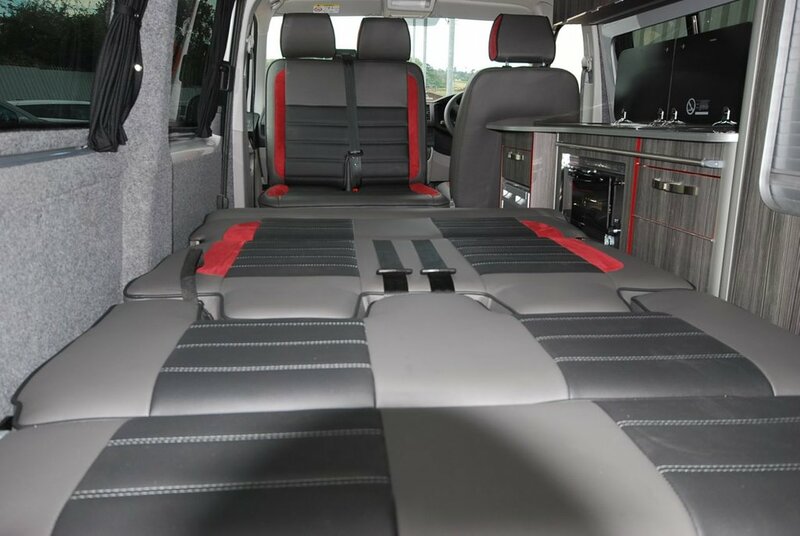 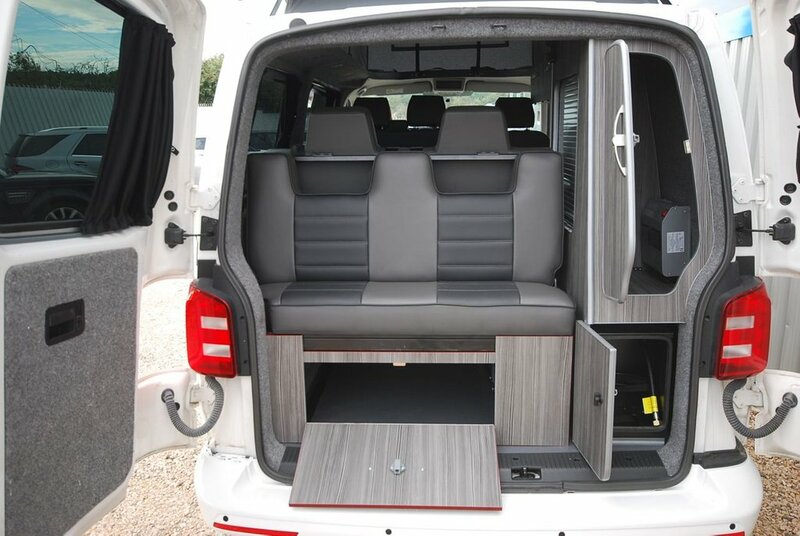 This van has been fitted with our premium full side conversion which includes Colour coded elevating roof, Full edge banded furniture kit including overhead locker, rock and roll bed system, elevating roof board with roof bed inc mattress, Sink, 2 burner hob, fridge, Propex heating system, On board water tank, Gas safe locker inc gas bottle, Full upholstery re-trim in premium leather and suede, Swivel passenger seat base, Van X curtains, LED strip light, USB charging lights, Leisure battery, Split charging system, Power management system, External 240v hook up as well as many other features inc power points and various lighting configurations. 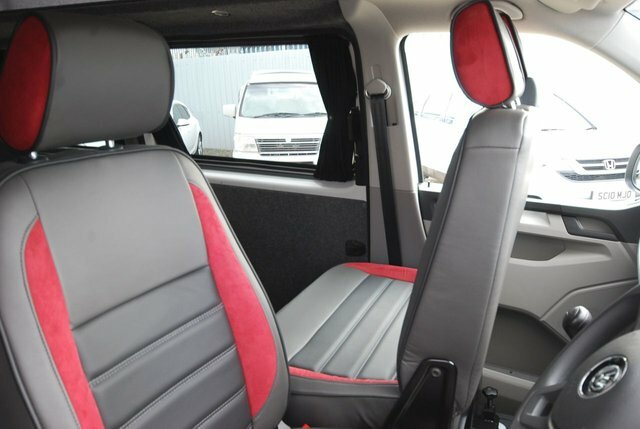 As this vehicle was built for stock we have fitted every possible extra.